The cosy den can be used as either a fun play area or a relaxing reading area, perfect for use either indoors or outdoors. 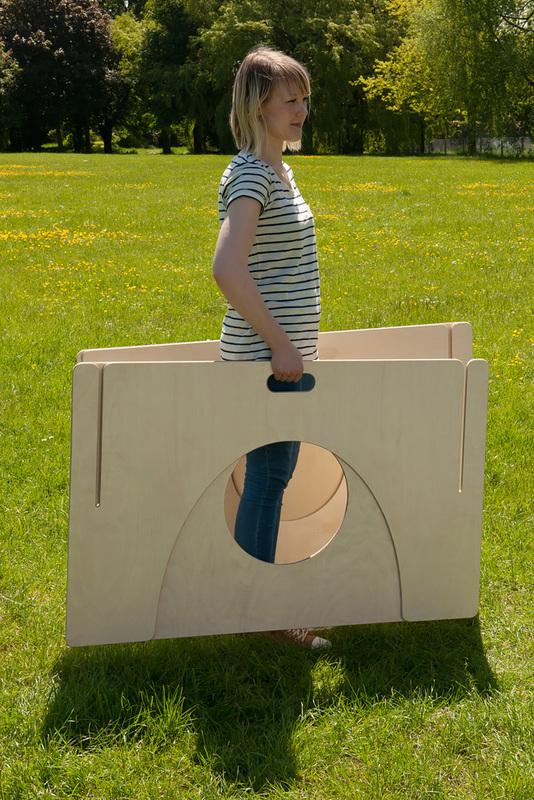 The four panels have different shaped cut outs for access and can be easily assembled by slotting together. 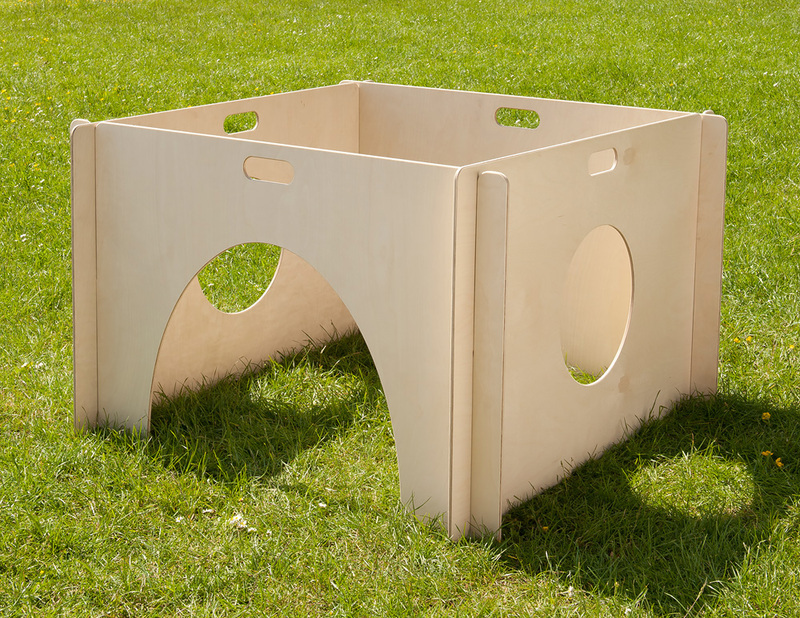 This den kit is easy to dismantle when not in use and can be stored flat. Manufactured sustainably in the UK using advanced outdoor plywood with a weather-resistant, child-friendly, water-based lacquer to help retain its natural wood appearance. The indoor/outdoor cosy den also includes a fabric roof which can be used to provide cover from the sun. Please note: The roof fabric may vary from that shown in the cosy den product images. Please Contact Us or alternatively call for more details on 01733 511121.